Good luck Zun a very fine effort it can only get better! Falling off is definitely not on the agenda, finishing (hopefully on the same lap as the winner) is the 1st objective. 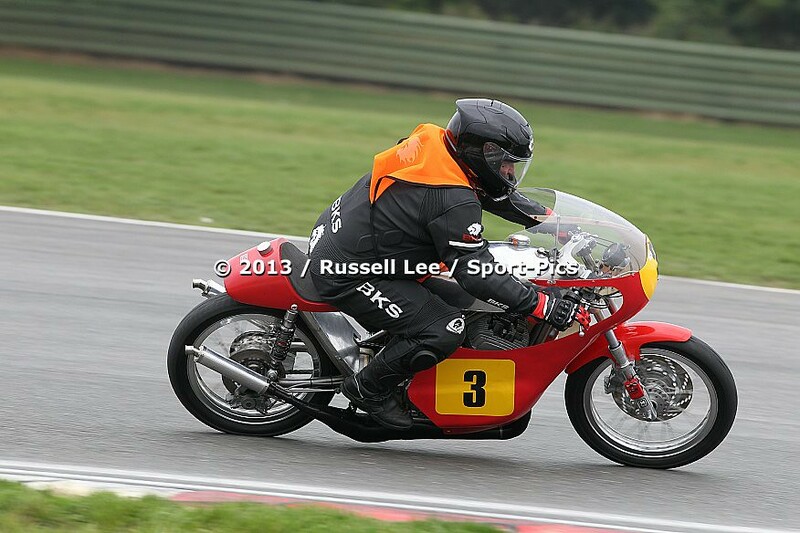 I had a good time on the SV at Castle Coombe although the amount of track time worked out at near Â£5 a lap . All good experience and I now have an impressively scrubbed rear tyre. Sunny, racing is bloody expensive. I thought I might have a go at the European Singles championship but the bloody entry fees are 300 euros a round! Turned out to be an expensive weekend. I entered 3 races + transponder hire + insurance + getting there & back etc. Holed a piston on lap 4 of 6 in the first race, no refunds. Bike was going well up to point of expiring . I will do better next year, engine in the process of being re-built and upgraded. Doesn't look like a lot of clearance in that pic? or is it just the angle? I think it's just the angle, Hooli. The pipes are very close to the centre line, of course I hardly had the chance to explore getting the bike properly leant over as I the number of laps I got in was pretty small. Lessons were learnt however and if I had waited until next season I would have had knackered the engine without a winter to get it sorted. Holed the left hand piston, running under jetted was the most likely culprit, and the mechanics fault entirely (Damn, that'd be me then ). Zunspec wrote: Holed the left hand piston, running under jetted was the most likely culprit, and the mechanics fault entirely (Damn, that'd be me then ).